This commitment was followed by the establishment of a sector-wide project, OER Wales Cymru (http://www.oerwales.ac.uk/), and a discernible raising of the profile of open education within Wales, not least with the hosting of OER15 in Cardiff. Running in parallel with these developments, the Welsh Government established the Online Digital Learning Working Group whose published report in March 2014 (http://www.oerwales.ac.uk/) examined the benefits and opportunities of open approaches. 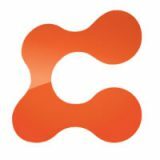 Another development of note was the CADARN initiative (https://www.cadarn.ac.uk/), funded by the Higher Education Funding Council of Wales, supporting institutions in mid and north Wales to develop OER (among other outcomes). This paper will examine how the various developments outlined above appeared to signal a bright future for OEP in Wales. As such it will address the conference theme of ‘Local, national, and international policy and practice’. Particular focus will be given to the sub-theme of ‘governance and power’, analysing the political economy of Welsh higher education and the role of institutions in taking forward a commitment to OEP during the period of 2013-2015. My argument will make reference to discourses of marketisation of higher education (2), noting that national policy in Wales casts higher education as a ‘system’ rather than free-market competition (3). This suggests OEP might be developed ‘systematically’ to address national objectives. The paper will conclude by asking why this period has not apparently led to a sustainable OEP culture in Wales and suggest some possible opportunities to recover momentum towards this goal. In particular it will be suggested that, rather than see OEP as an end in itself, it might usefully be framed as a significant means to support other national higher education policy objectives in Wales such as widening access and the development of Welsh-medium provision. The paper will be supported by audio/video interviews with key protagonists in the ‘Wales OEP story’ and, subject to the agreement of the interviewees, these will be published as OER in their own right. The paper will also encourage comparative analysis from delegates and those participating in the conference remotely. Suggestions on developing OEP in Wales will be welcomed while the example of Wales’ story may be instructive in other contexts.